Spiderman, Spiderman, does whatever a spider can, Spins a web any size, catches thieves just like flies, Look out, here comes the Spiderman! 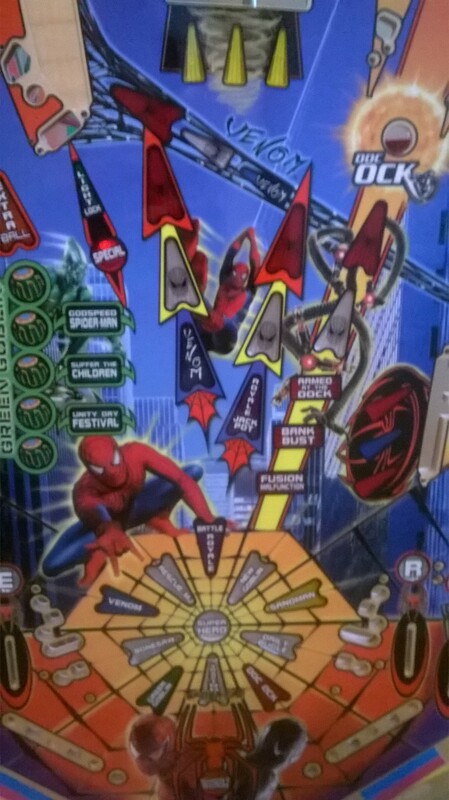 Seriously but this Spider-Man and get it the Kruzman clearcoat while you are at it! One of Stern’s most popular titles of the early 2000s. Yes, they released a vault edition, and yes it’s playfields are notorious for having problems. 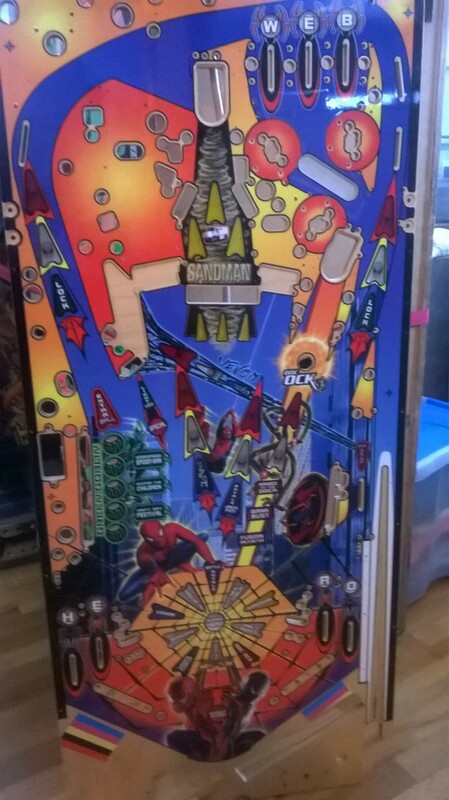 Save yourself a headache and instead get yourself an original and this playfield to guarantee years of fun ahead.